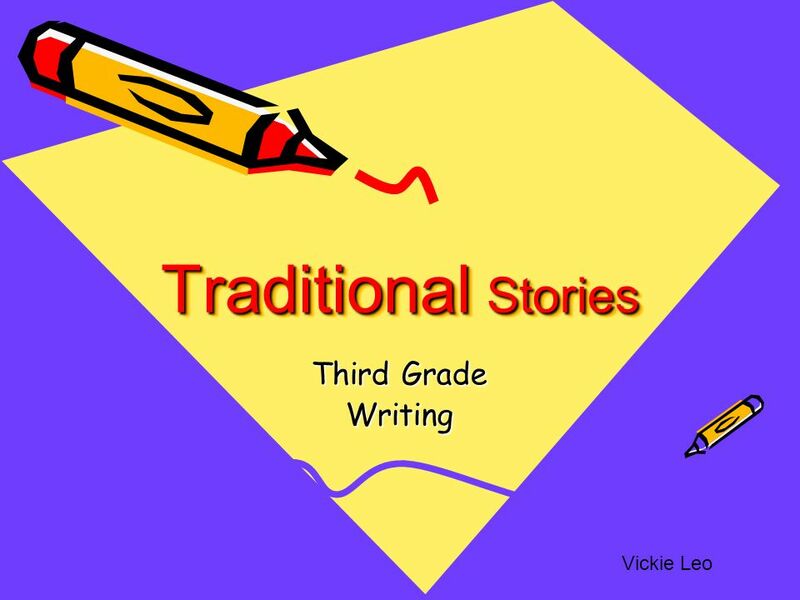 Traditional Stories Third Grade Writing Vickie Leo. History of Fables,,,,,, Aesop lived during the sixth century BC and was probably a slave on the island of Samo. He loved to tell stories. It is said that Aesop was ugly and deformed and those who came to listen to his tales laughed as much at him as at his stories. Though no historical information on Aesop is available, he was probably a real person. 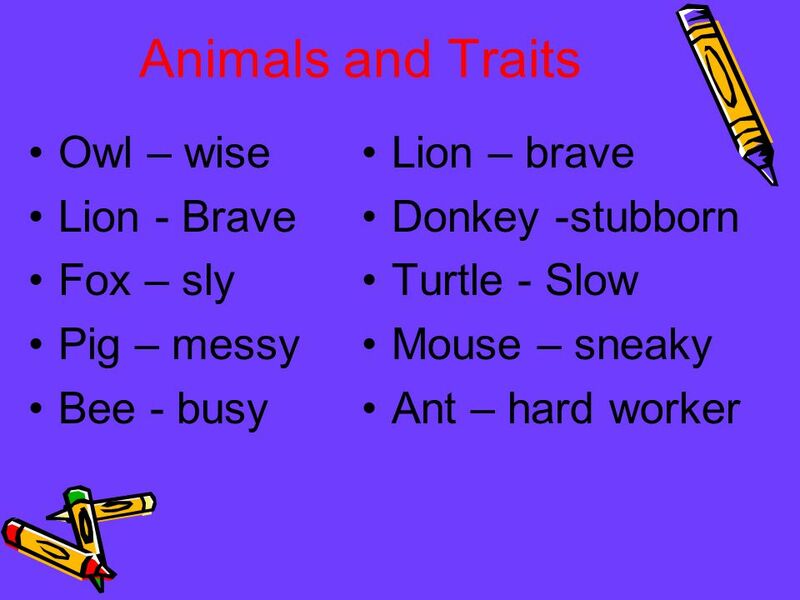 These are my favorites: The Lion and the mouse The Hare and The tortoise The ant and the Grasshopper I have many fables to tell... I wrote at least 655 of them. Can you tell them? 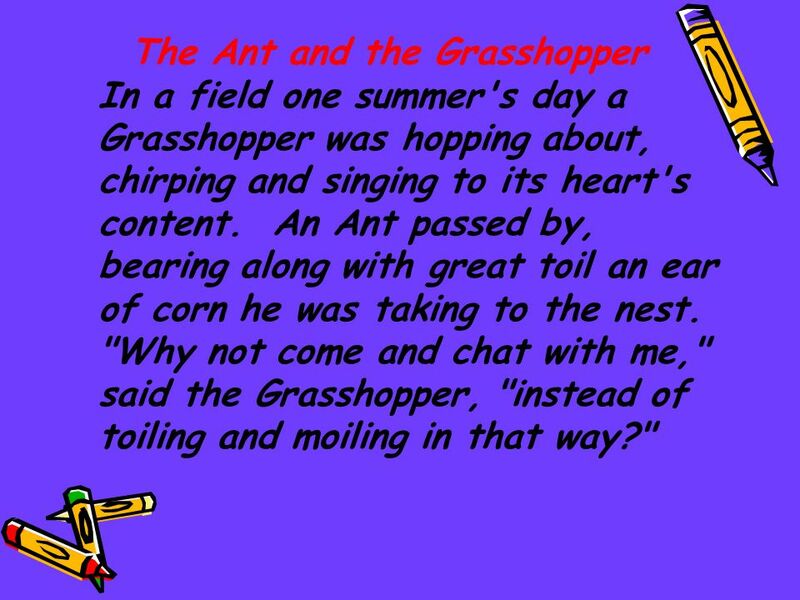 The Ant and the Grasshopper In a field one summer's day a Grasshopper was hopping about, chirping and singing to its heart's content. An Ant passed by, bearing along with great toil an ear of corn he was taking to the nest. "Why not come and chat with me," said the Grasshopper, "instead of toiling and moiling in that way?" 8 "I am helping to lay up food for the winter," said the Ant, "and recommend you to do the same." 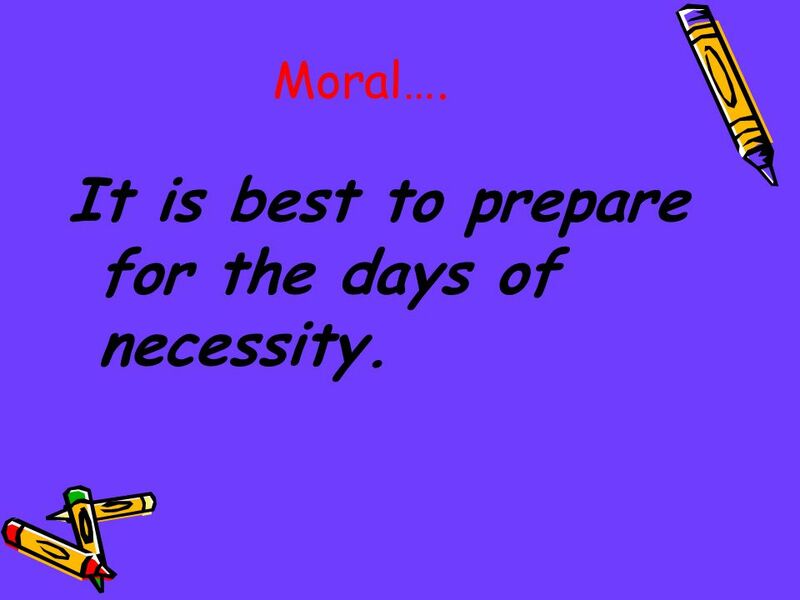 9 It is best to prepare for the days of necessity. 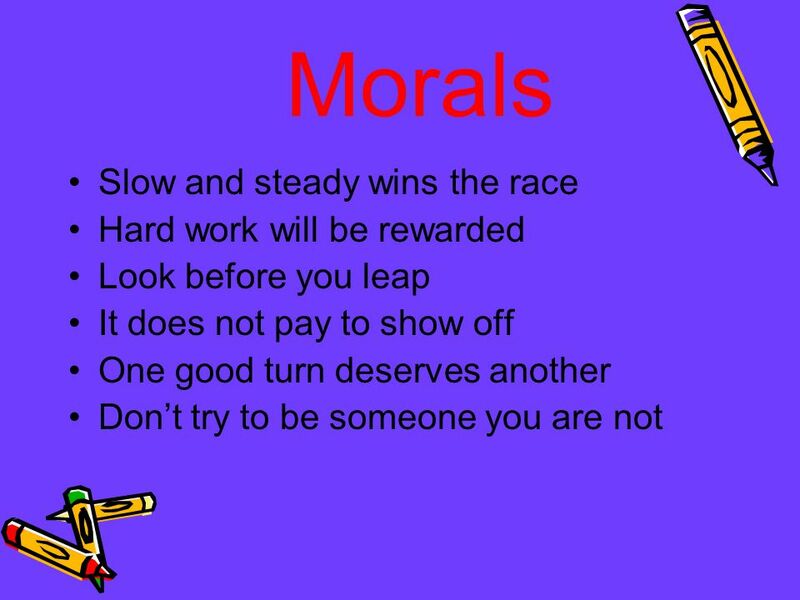 Moral…. It is best to prepare for the days of necessity. 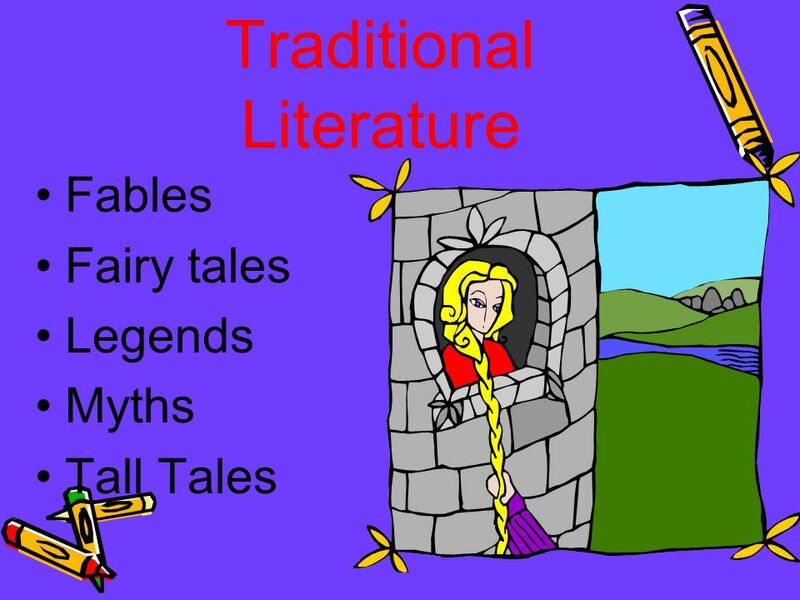 Download ppt "Traditional Stories Third Grade Writing Vickie Leo." What is Theme? Theme is the special message that a reader takes away from a story. No two readers will state a theme in exactly the same way. 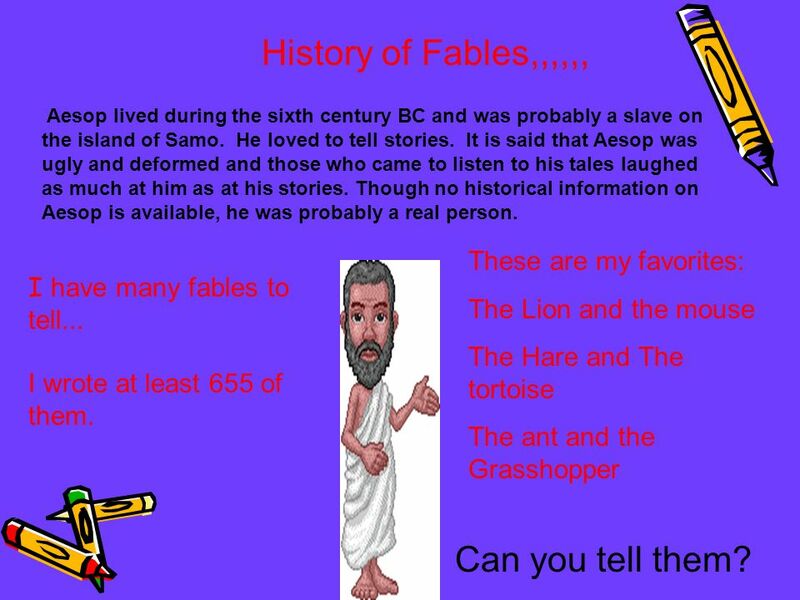 Fables Aesop, apparently a slave who lived in the sixth century B.C. on the Greek island Samos, is credited with making up many clever fables for his. Mr. ONeils Jeopardy Fables Tortoise /Hare Crow and Pitcher Grasshopper. Aesop s Fables May 2008 Reading Club. Outline 1. Aesop s Life 2. Illustrations 3. Fable I: 4. 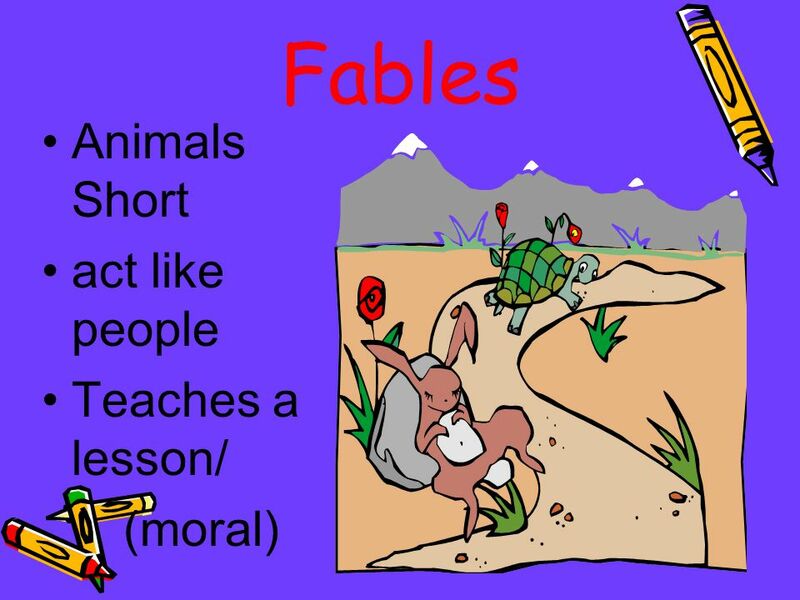 What Is A Fable? List some features. 5. Fable II: 6. Influence. Folklore: Traditions and customs that people pass from generation to generation, such as stories, dances, games, arts, crafts, and celebrations. Student Objectives Students will be able to: 1.Define need and saving. 2.Give an example of comparison shopping for a product. 3.Describe the components. 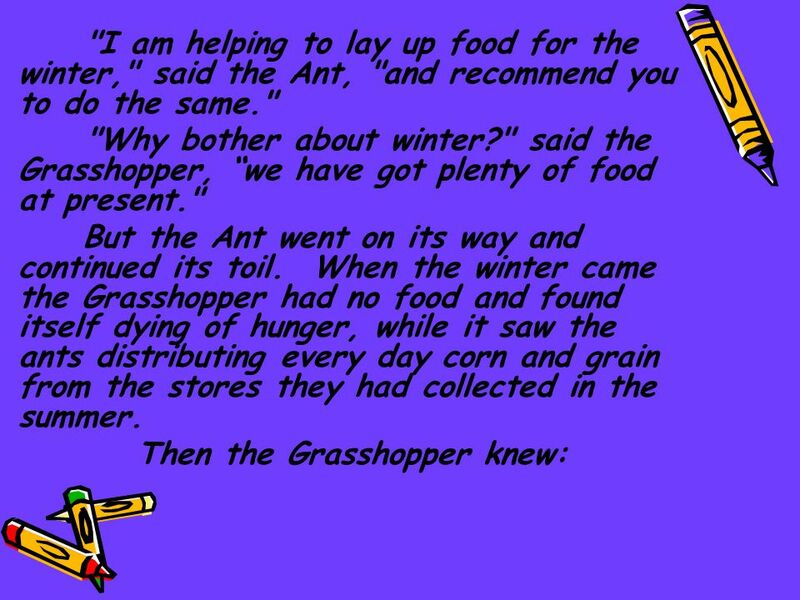 THE ANT AND THE CRICKET Aesop's Fables KAVITA	TGT	ENGLISH. 23 August th grade English. In a field one summer's day a Grasshopper was hopping about, chirping and singing to its heart's content. An Ant passed. Fables and Allegory.  Very short  Features nonhuman characters personified to the extreme (such as animals, plants, objects)  Ends with moral or lesson. Theme Theme is: The central, underlying, and controlling idea or insight of a work of literature. 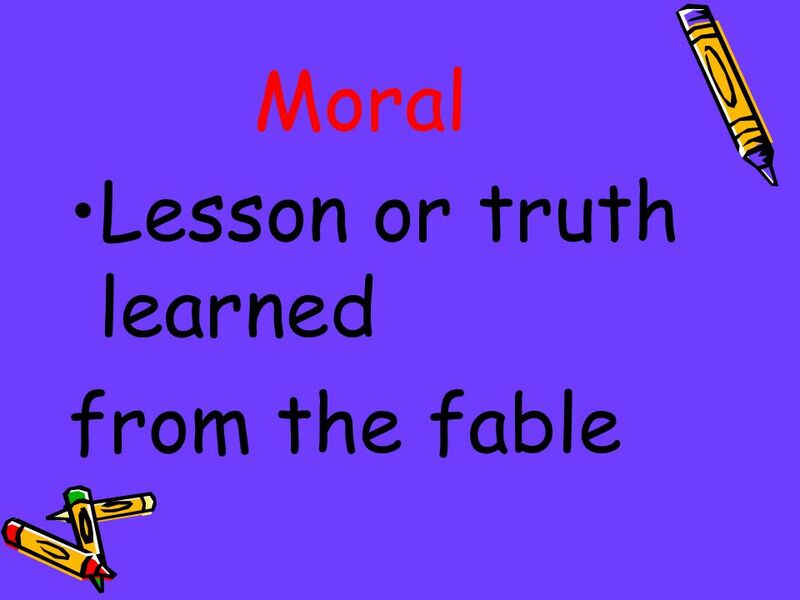 In a fable, the theme is the moral. In a parable, the. Check Your Progress 4 Person to Person. 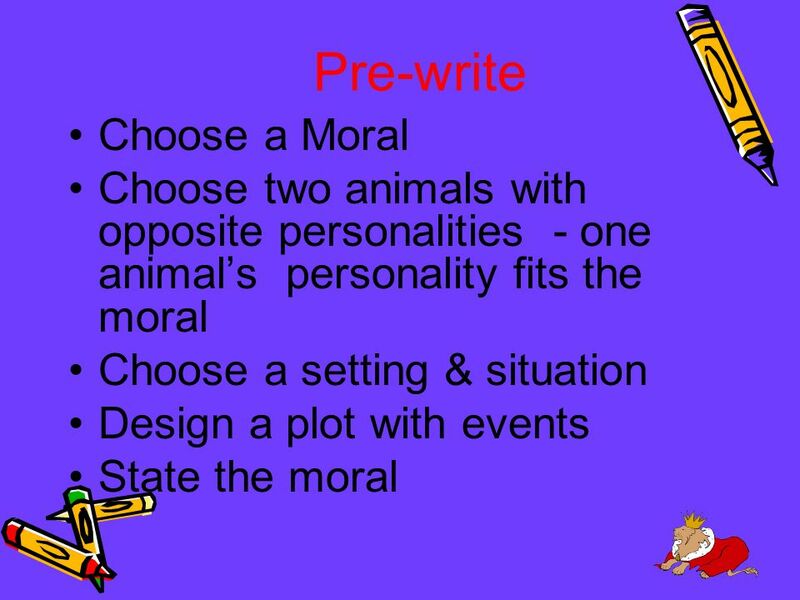 (S1C6-PO6) We can explain the multiple causes leading up to a main event in a story by creating a graphic organizer. What skill does this activity develop?. Summer violin silly store autumn full attentive naughty lazy hungry angry supper 1) Which of these words are you. 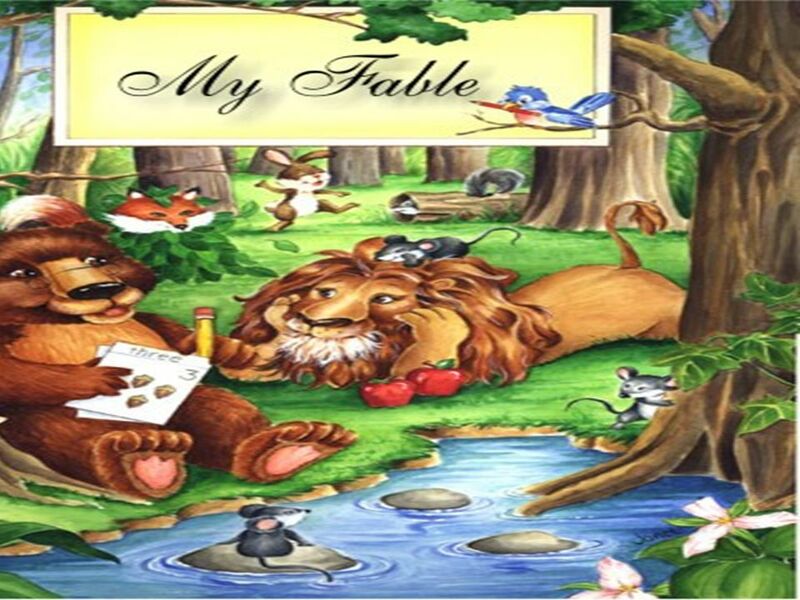 Aesop’s Fables. The legend tells it that Aesop lived during the sixth century BC. El Peluquero Zurdo (1949) by Emilio Baz Viaud Self Portrait with Monkey (1940) by Frida Kahlo. 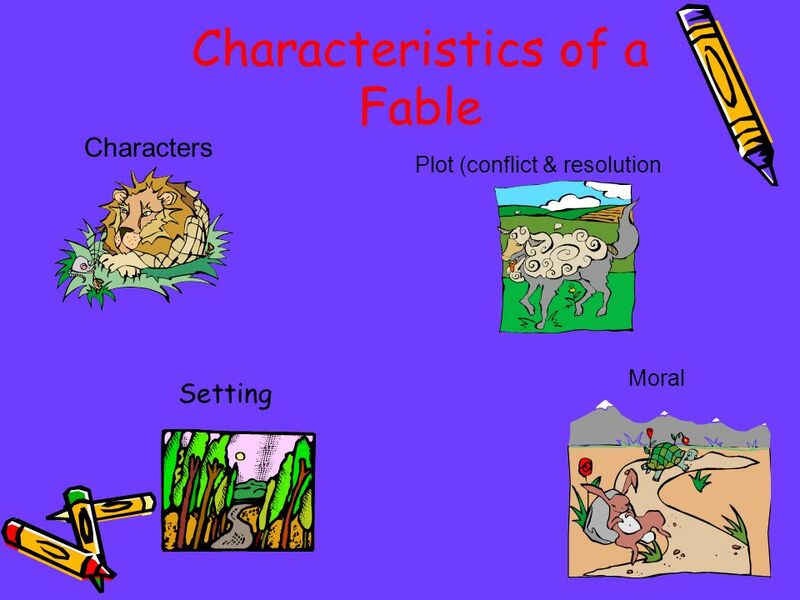 Materials Needed Chart paper that outlines characteristics of a fable Tree Thinking Map.